This week, we're joined long term friend of the pod Ryan from FantasyYIRMA (follow him on twitter here). We have a general discussion ownership in FPL, especially with YIRMA's recent article on Four Four Two as part of their weekly contribution that focused on this. Are players like Alonso and Richarlison ownership-based picks? To be successful at fantasy football you need to own in-form players and right now Rashford epitomizes that more so than anyone else. Three goals and two assists during his last three games are fantastic returns and with the backing of interim manager Ole Gunner Solskjaer, Rashford is certainly a safe pick this week and will challenge Salah for your captaincy backing. Their opponents on Saturday, Brighton, have only kept a clean sheet once during their last twelve Premier League games, which bodes well for United to cause havoc. A bit of a punt this week in Llorente, but with Kane and Son both missing for different reasons he could cause a surprise or two. Just think of what Jesus has done at City with his recent opportunities. The fixture is certainly a good one for Tottenham. If Harry Kane was fit he would have been my safe pick for Gameweek 23 and it's a travesty for fantasy football that he can't play. Fulham, having conceded eight goals in three games (two of which were against League 2 Oldham Athletic) look destined for relegation. I expect even a depleted Spurs side to win easily this weekend. What a partnership we are now seeing between Rashford and Pogba! Who would have thought earlier in the season that come Christmas we’d be doubling up, even tripling up on United players? De Gea may have taken all the headlines against Spurs, but Pogba put in another fantastic display on Sunday afternoon and provided the assist for Rashford’s winning goal. Pogba is starting to become a must own player and should slot into your fantasy teams for the foreseeable future. Everton continue to run hot and cold. Last week we were expecting fireworks against Bournemouth but in the end a 2-0 win with goals from Calvert-Lewin and Zourma wasn’t really much use to anyone. Another week and another favourable fixture beckons. Some fantasy football managers may be beginning to lose patience with their Everton assets but I'm expecting us to see more from their Iceland international, Sigurdsson. Other than the surprise 0-0 against Chelsea (when Southampton allowed 17 shots on goal), you have to go all the way back to October 2018 for the last Southampton clean sheet – Everton will no doubt create chances, let’s see if they can finish them off this week. The fixtures led me straight to Liverpool for a clean sheet this week, but with Lovren, Gomez and Alexander Arnold all out injured – Klopp needs to patch up that defence and even van Dijk might not be able to carry them. However, Gameweek 23 offers us Manchester City against Huddersfield, a side who have have scored only three goals during their last eight games. Yes, Manchester City players are subject to rotation but Laporte has started 21 of Manchester City’s 22 league games this season, so has a good chance to start and register a clean sheet. He loves a yellow card and only has two clean sheets to him name all season, but this weekend Watford face Burnley which instantly draws our attention to the Hornets. On to the positives for Holebas - nine of them in fact in the form of three goals and six assists this season – not bad for a fullback especially when you consider Robertson (with a reputation as an attacking fullback) hasn’t scored all season and only has five assists. Burnley have conceded ten goals during their last five games and I fancy Watford to add to that this weekend, with Holebas on corners and arriving late at the edge of the box – he could be the differential to own this weekend. Is big Dave back? It’s amazing what a bit of confidence from a new manager can do to a player. We all know De Gea is world class but he hasn’t backed up that reputation with performances this season. His stand out effort of 11 saves in one half of Premier League football earned Manchester United their second clean sheet on the run, I’m certainly not backing United’s defence – however with De Gea you are guaranteed to see save points and stand every chance of a clean sheet too. 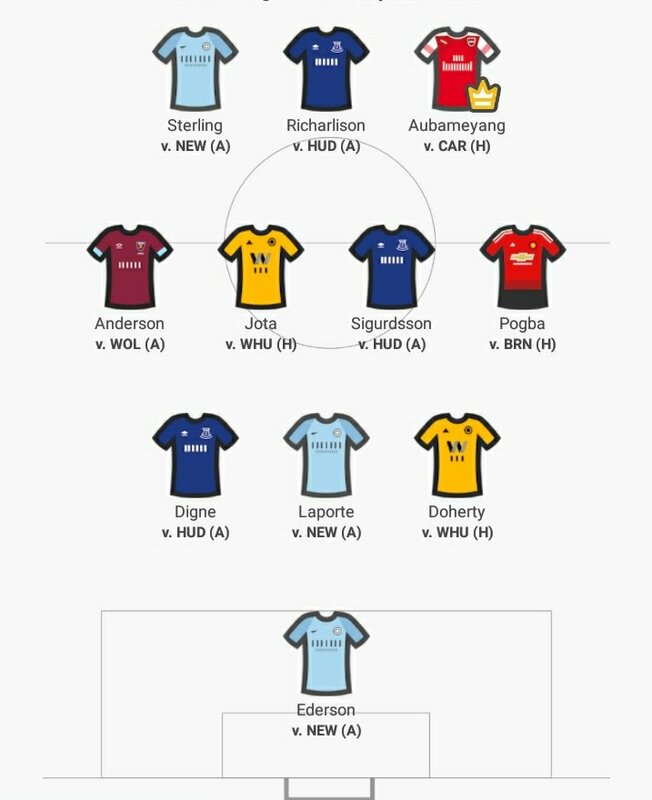 I did look at other options but I see absolutely no reason why Etheridge shouldn’t continue for a second week as my differential goalkeeper pick. After picking up a clean sheet last weekend that’s now three in his last four games, with a favourable fixture again this week away to Newcastle. Newcastle have only scored two goals in their last five games and will have tired legs after having played 120 minutes on Tuesday night in the FA Cup. The Premier League returns this weekend after a brief interlude for the FA Cup. The frantic festive period already seems so long ago and thoughts must now turn to the second half of the season. The cup games afforded some thinking time for FPL managers. Four games in quick succession may have lead to some rash decisions due to tight deadlines. Nevertheless there’s still 17 game weeks left and that is more than enough time. Rather than jump back in with five players to watch this week, we’ve come up with five tips to get you ready for the remainder of the season. 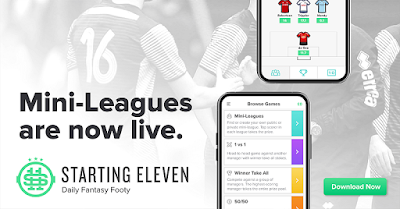 If you’re in a tight mini-league, every point could make the difference! Remember though there is more than one strategy to win and not even necessarily only one right answer – all part of why we love FPL. For years, you only got one wildcard in FPL. That has increased to two in recent seasons though with one available either side of the new year. The correct time to use it most likely depends on your situation. If your team is hopelessly out of form or ravaged with injury then you might consider using it as soon as possible. If things are ticking over nicely for you then don’t make changes for changes sake. Make sure you have a good look at the fixtures and consider when your current squad will have a bad run. It’s great to have, for example, Everton players at the moment looking at the upcoming fixtures but there will come a time when things change. Who else, but Mo Salah? Now playing centrally and leading the Liverpool attack, Salah has scored six goals and provided three assists during his last six league games. This week Liverpool travel to Brighton to face a side that has only kept one clean sheet in eleven games and with Matt Ryan away on international duty, it looks like the Seagulls could be there for the taking as Liverpool look to bounce back from their defeat against Man City. Are two goals in two games enough to create a mini-bandwagon? Possibly not when we are talking about a Burnley striker. However, Wood certainly has a good run of fixtures to continue his form. After conceding 47 goals this season, Fulham are sitting second from bottom in the Premier League. With the wounds still fresh from an embarrassing FA Cup third round defeat to League Two Oldham last weekend, morale will be low which in turn makes Wood a worthy differential picks this week. Four wins from his first four Premier League games has been a fantastic start for Manchester United legend and new manager Ole Gunner Solskjaer, however in true Manchester United fashion those wins have come from attack rather than defence. Only one clean sheet has been attained during those four win. During their last game Newcastle certainly had chances and were in the game for large spells. Eriksen may not have been catching all the headlines due to Son’s form, however that’s not Eriksen's style. The Danish midfielder quietly ticks away in providing attacking returns. He has four goals and one assist from his last four games and could cause havoc to United's back line. For absolutely no reason other than it making an excellent headline, this week’s differential midfield differential pick is ex-Arsenal player Samir Nasri. He could make his Premier League debut for the Hammers on Saturday. Arsenal haven’t kept a clean sheet now during their last five league games and despite the impressive 4-1 and 3-1 wins against Fulham and Burnley respectively, there was also the 5-1 defeat at the hands of Liverpool. You just know Nasri will want to do something against his old club! After losing to title rivals Manchester City, followed by their elimination from the FA Cup (albeit with a weak side), some would suggest that the wheels are about to fall off at Liverpool. I expect Liverpool to steady the ship and given their favourable fixture list they can cement their place at the top of the Premier League. First up is the away tie against Brighton and despite losing Lovren to injury in the FA Cup, I can’t help but remind myself that this Liverpool team have only conceded ten league goals all season. After starting the game against Everton as a right winger on New Year’s Day, and not for the first time this season, fantasy football managers got excited at the prospect of a defender providing attacking returns. In addition, we can't look beyond him regularly being deployed in advanced positions. Southampton look appalling at times and despite fooling some of us into considering Danny Ings after wins vs Arsenal and Huddersfield, Southampton have failed to win any of their last three league games, as well as throwing away a 2-0 lead in the FA Cup against a weakened Derby Country, only to draw the game 2-2. After Chelsea’s two clean sheets during their last two games against Crystal Palace and Southampton, their shot stopper Kepa now has ten clean sheets this season. Up next is a home fixture against the Toon Army who have only scored once during their last four games, which bodes well for Chelsea's back line. After the clean sheets and penalty saving heroics during the season’s opening three Gameweeks, Etheridge was the unlikely man to own. This unfortunately followed on with only one clean sheet from his next fifteen games. After producing two clean sheets and a penalty save from his last three games, Etheride may have become viable again. Cardiff next host a dejected Huddersfield Town, who have lost their last eight league games – as well as being knocked out of the FA Cup to Championship side Bristol City. This week, we're joined by Adam Hopcroft (follow him on twitter here), one of the top new accounts on FPL twitter this season. We have a general discussion about stats in FPL, understanding how to look at them in context and mention the MVPs and hidden gems in the data currently.